About Interpreting – Hired Hands Inc. Effective interpreting is a complex process of taking a message from one language and interpreting it into another language while maintaining the accuracy, goal, and spirit of that message. This is done in real time while considering the participants’ needs, environmental factors, and cultural mediation. A sign language interpreter interprets between American Sign Language (ASL) and English and must be equally skilled in both languages. Interpreters must have the ability to understand how each language is influenced by the cultural differences between ASL and non-ASL users. ASL is not English on the hands. It is a unique language that has its own lexicon, syntax, and grammar. In addition to the mental complexity of interpreting, sign language interpreting has the added physical component of using hands, arms, and upper body. An accomplished sign language interpreter will have a CERTIFICATION. Just like with other professions, certification or licensure ensures that the practicing professional has satisfied all of the education and testing requirements to practice. Outside of a courtroom setting and public schools, certification is not legally required in the state of Texas but highly recommended. Certification is a protection to all parties involved in the communication process. It ensures that the interpreter has the skills and training that are necessary to accurately facilitate communication. Once an interpreter becomes certified, they are required to follow their profession’s Code of Professional Conduct (CPC) and they must satisfy continuing education requirements (CEUs) to maintain their certification/s. The Americans with Disabilities Act (ADA) outlines the responsibilities for providing communication access and uses the wording “qualified interpreter”. An interpreter’s qualification cannot be properly assessed without certification. An interpreter can be nationally certified, state certified, or both. Court/Legal certification is an independent certification that can also be awarded by either national or state certifying bodies. Due to the lack of laws protecting consumers from uncertified persons, one must be diligent in verifying an interpreter’s certification and qualification. The liability of not properly vetting an interpreter falls on the person/entity who employs the interpreting services. Choosing an interpreting agency is an important first step in securing the services of an interpreter. Some agencies have a staff of dedicated interpreters while others may act as a placement agency utilizing contract or freelance interpreters. Agencies can vary in size from a one-two person operation to a large staff or contracting pool. The overall size of an agency and the types of interpreter relationships they have should be considered. You want to ensure the agency you are considering can accommodate your scheduling needs and provide continuity in service. The interpreter’s certification level, experience, and expertise. The consumer needs, meaning both the requesting consumer and all those who will be utilizing the interpreter on site. Deaf consumer preferences and language needs. 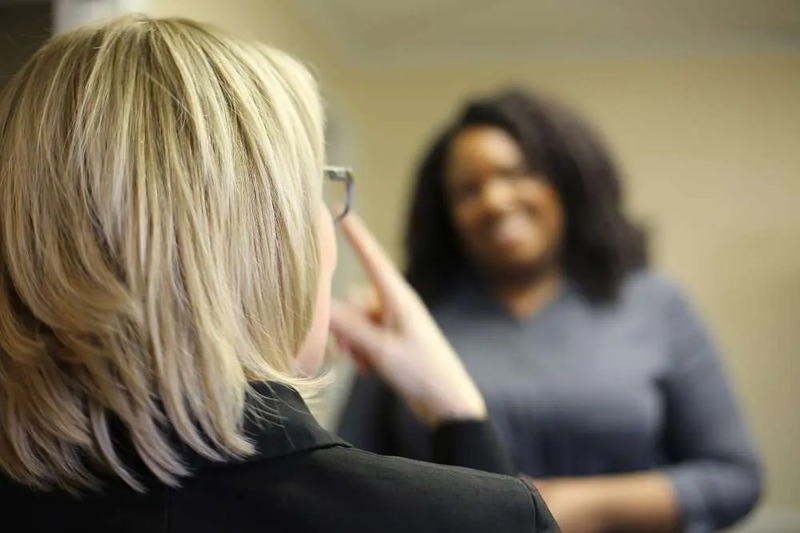 The work of an interpreter can become very intimate and making sure that the interpreter who is placed is a good match is not only important to the success of the encounter but shows respect to the Deaf consumer. Deaf Culture considerations. Interpreters cross over into all aspects of a Deaf person’s life. There are parameters and unspoken rules of conduct that must be considered. Professional interpreters are also trained to have cultural awareness. For more information on Deaf Culture see FAQ. Continuity of service. Being able to place an interpreter or team of interpreters on a continuing or recurring encounter lends to successful outcomes for all stakeholders. It is important that you work with an agency that has gone through all the necessary steps to make sure you are paying for quality service. Not only language and skill assessment but proper insurance coverage, background checks, drug screenings, and immunizations. All these can help to protect you from placing yourself or your entity at risk. American Sign Language users are part of a Deaf community deeply rooted by its language, history, and culture. It is important that the agency you are considering is involved in that community. The agency should be promoting growth of the interpreting profession while supporting and educating the users of the service. It is not just business. Interpreters are assigned the responsibility of being privileged to confidential information, having access to non-public areas, and are participants in everyday encounters that affect peoples’ lives. It is a responsibility that must be approached professionally and holistically. A community interpreter is one that works in multiple genres of interpreting. They can be found in all areas of life where it would be necessary for two parties to communicate or for an individual or group to have access to communication. Such places could be a doctor’s office, a place of work, college classroom, or even a Broadway play. Imagine everything you do in life and all the ways that you need to communicate. Now, put a Deaf person in your shoes and recognize their need to have access to those same things. Deaf people can have the same life experiences and equal ability to communicate through the services of an interpreter. There are very specific laws that require that interpreters are not only certified but hold an additional legal/court certification. In the state of Texas, it is illegal for an interpreter without legal/court certification to place themselves in a setting before a magistrate. Violators are subject to a Class A Misdemeanor with a possible fine and jail term. For all other legal settings or encounters, legal/court certification is strongly recommended. Medical interpreting requires experience, specialized training, and an in-depth understanding of medical terminology and concepts. Mental health interpreting requires additional experience and training and an in-depth understanding of the roles and responsibilities of the medical team. It is irresponsible to deny a Deaf patient or family member access to communication in a medical or mental health setting. Failure to make sure that everyone is understood through qualified means could lead to serious needs going unmet, jeopardizing the quality of care, and can be life threatening. ALL work performed by an interpreter is confidential. Specifically, regarding medical interpreting. The Health Insurance Portability and Accountability Act (HIPAA) includes language on the authorization and use of interpreters. Interpreters are a recognized body under HIPAA and can act as a member of the medical team. In some cases, they are additionally recognized as a Business Associate. Theatre and concert interpreting is a lot of work and requires a team who is strong and trained in; knowing the dynamic of the theatre or stage, understanding how to work through a script or set list, and providing the best possible product of interpreting for the Deaf patron/s. Conferences have a structure and atmosphere that requires a trained team of interpreters who can make it seamless. They need to know how to adapt to the needs of the conference and the participants. Interpreters are also responsible for doing prep work and research to ready themselves for the event. Ideally, elementary and secondary schools will have educational interpreters on staff. However, community interpreters are often used to supplement the school’s staff interpreters or act as substitutes. It is important to note that no matter if the interpreter is employed by the school as a designated educational interpreter, or if a community interpreter is used, the person must be qualified to be there. Interpreting for children is a huge responsibility and one that must be performed by interpreters who are CERTIFIED and QUALIFIED. Interpreters are often the only language models a deaf child has and are an integral part of their educational success and social wellbeing. The state of Texas does have a law protecting public school children from uncertified and unqualified persons. Unfortunately, institutions have found ways to work around this law.